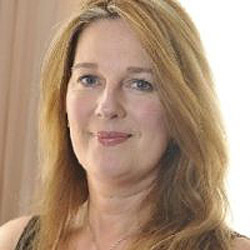 Natalie Brenner has over 30 years of experience in the film industry starting her career in film sales with J&M Entertainment before going on to work with IAC, Film Four, Element X and Ealing Studios. Five years ago she became a founder partner of the London-based, boutique film sales company Metro International Entertainment where she heads up International Sales. Through a combination of pre-sales and financing partners, Metro International works closely with producers to develop, finance, package and distribute their films. Recent projects include Saul Dibb’s critically acclaimed literary adaptation Journey’s End which Metro executive-produced, Agatha Christie’ classic Crooked House directed by Gilles Pacquet-Brenner and more recently Ivan Kavanagh’s Western Never Grow Old. Metro is also now developing and producing their own projects. A panel of leading film industry professionals provide confidential one-on-one advice to move your project onto the next stage.